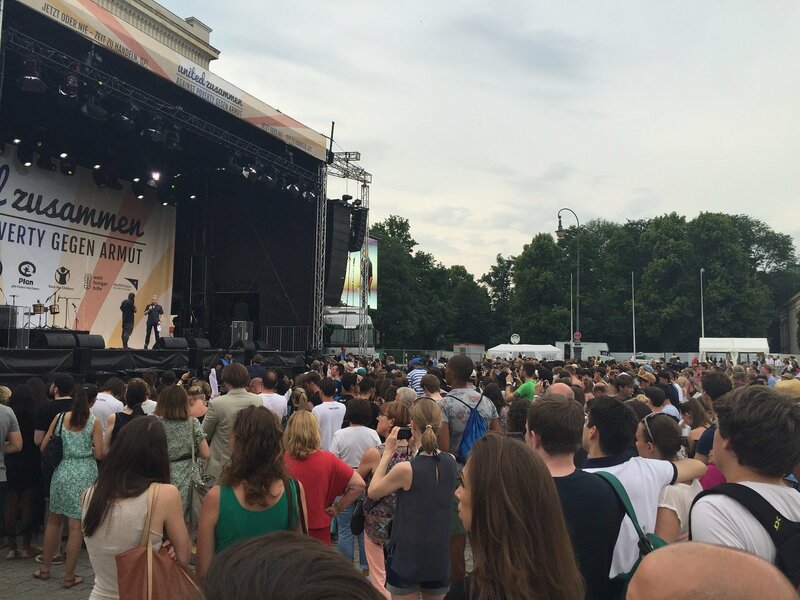 Thousands of global citizens come together in Munich to send a message to world leaders. It’s not often you get to see Usher, Afrojack and the President of Liberia all on one stage, but that’s exactly what happened in Germany this weekend at the “Zusammen Gegen Armut (United Against Poverty) event.” It was organised by Global Citizen, alongside partners The One Campaign, Save the Children and Plan. The event brought politicians, global citizens and superstar music acts together to call on world leaders to take action on the issues that continue to trap billions of people in extreme poverty. All this was on the eve of the G7, where leaders of seven of the world’s most powerful nations came together in Germany to discuss global issues. 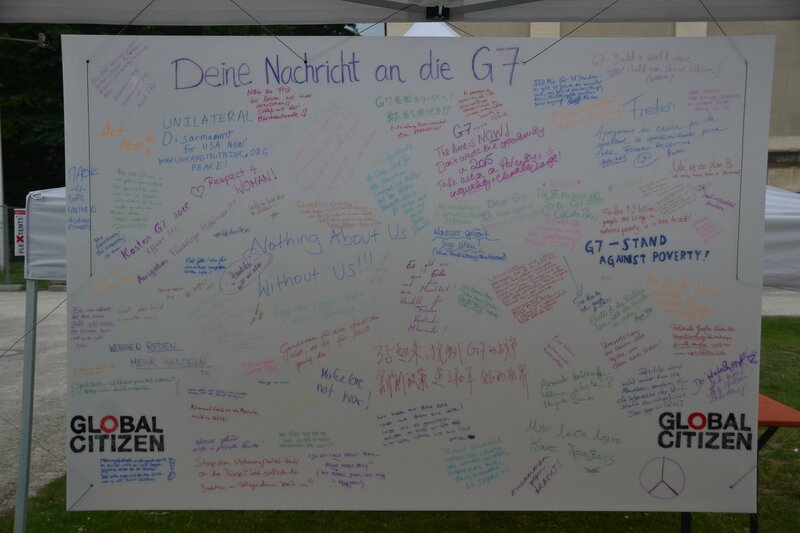 With thousands of global citizens from around the world enjoying the afternoon under the hot Bavarian sun, Global Citizen took this opportunity to ask them what their message to the G7 leaders would be. We think the responses were incredible, but don’t just take our word for it, check out some of them below. A message calling for the G7 to not only talk but act. 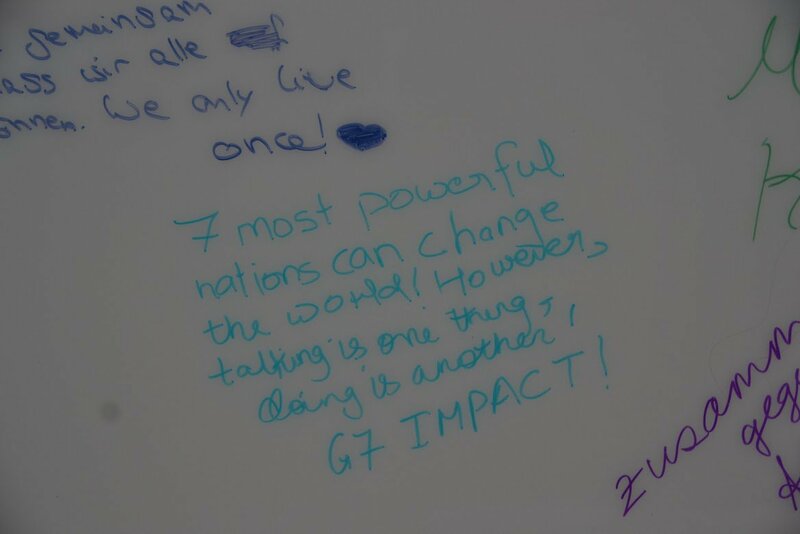 "(The) seven most powerful nations can change the world! However, talking is one thing, doing is another. G7 IMPACT!" 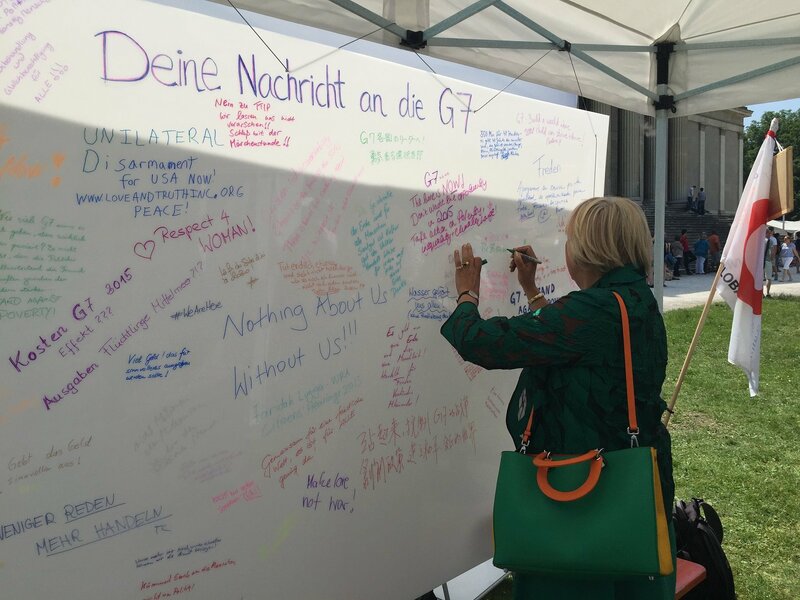 Claudia Roth, Vice-President of the Bundestag (German Parliament) leaves her message for the G7 leaders. 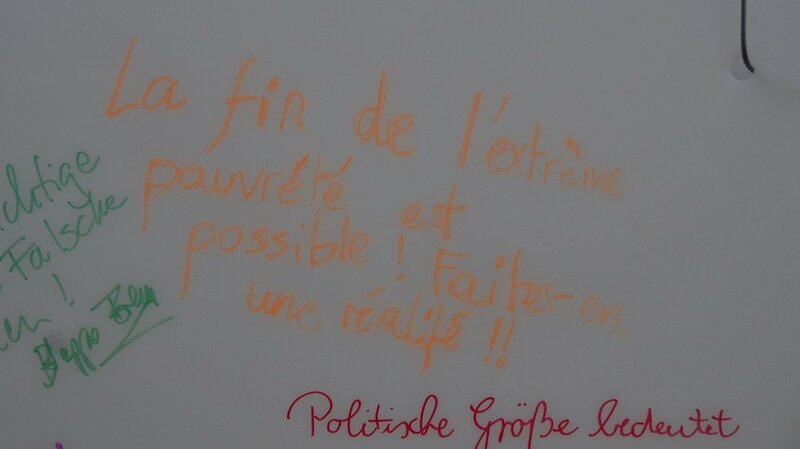 A message left by a global citizen from France that reads "The end of extreme poverty is possible! Let’s make it a reality!" 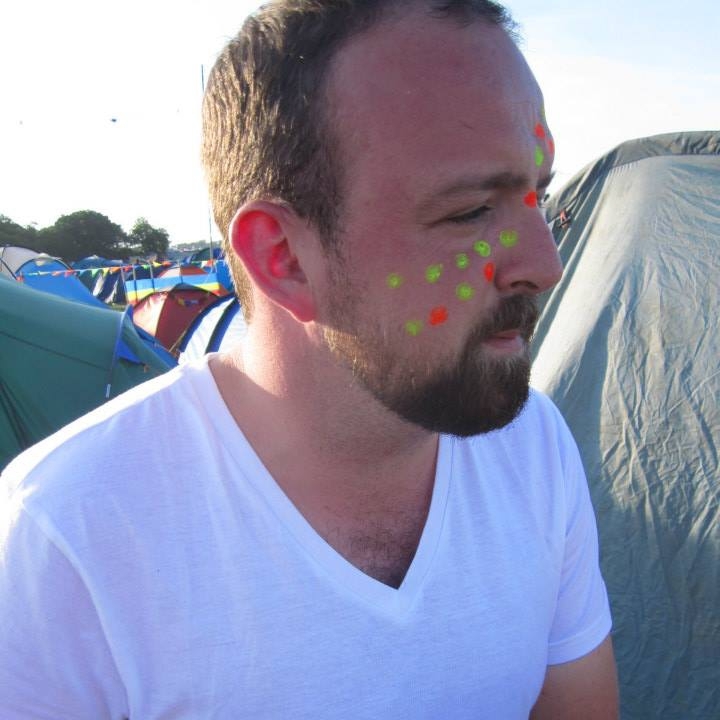 A German global citizen says "we only have this one world and one life! Let’s preserve it together, so we can live in it. We only live once." 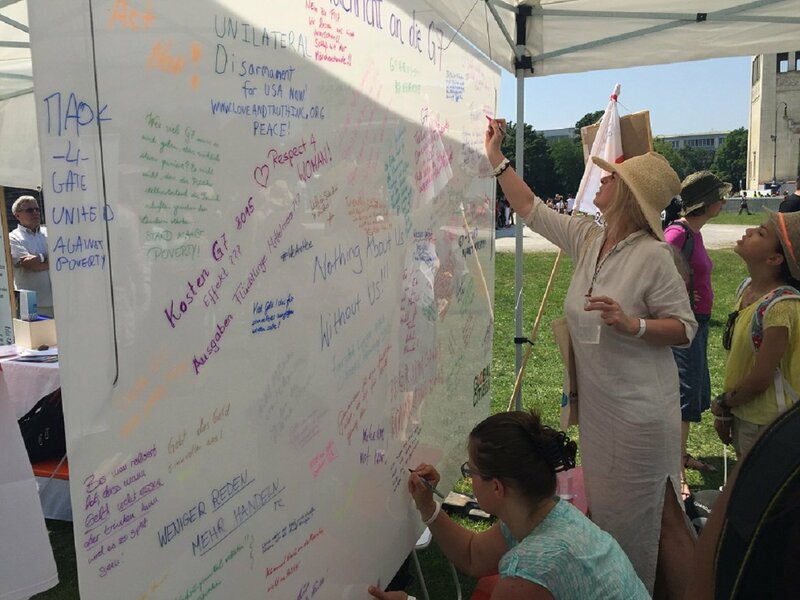 Global citizens from all around the world left their messages for the G7 leaders. 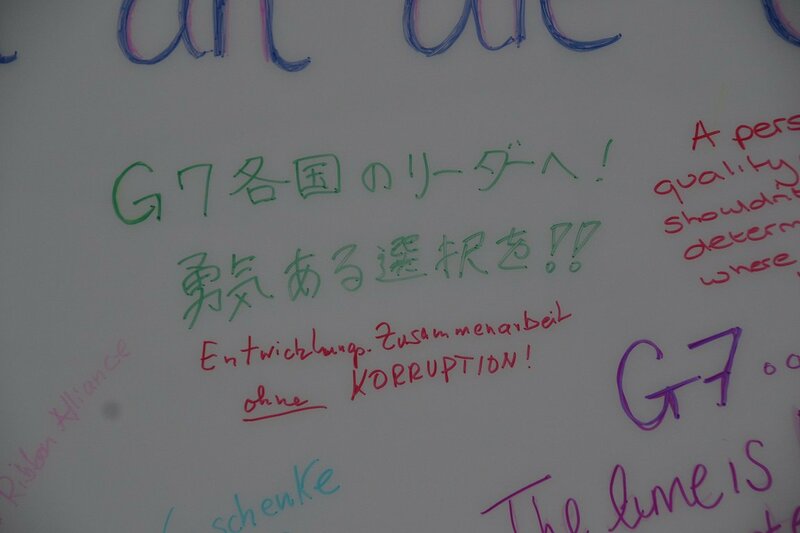 A Japanese global citizen says, "to the leaders of G7, make a brave choice." 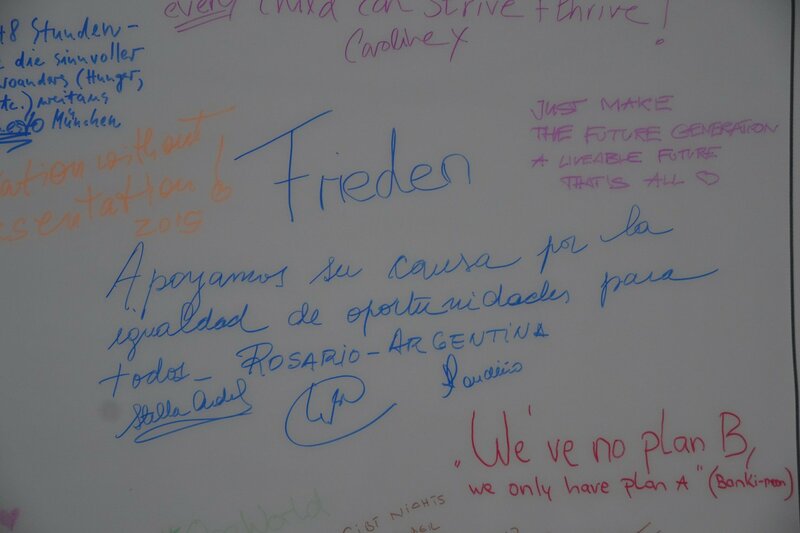 "We support equal opportunities for everyone," says a global citizen from Argentina. 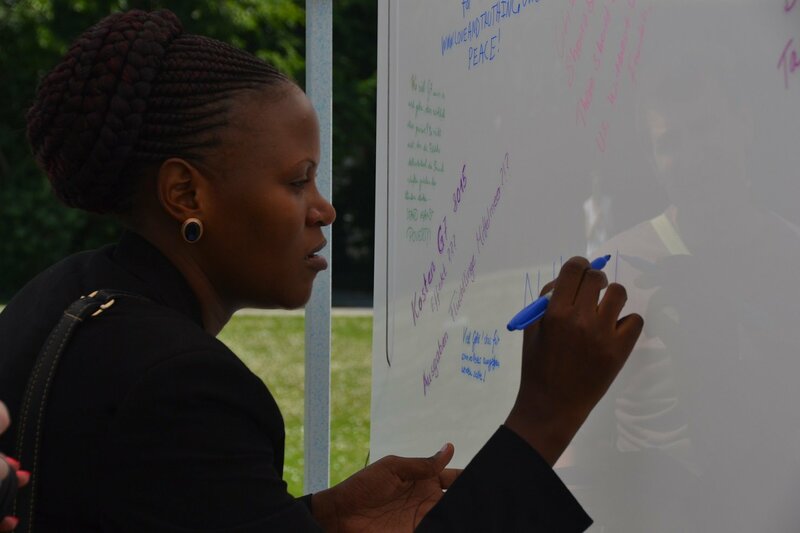 Faridah, a health advocate from Uganda, leaves her message for the world leaders. "Nothing about us without us." It will take the political will of Governments from around the world to finally set us on the path to the end of extreme poverty; a path littered with challenges and obstacles along the way. But I can assure you it's not an impossible task. 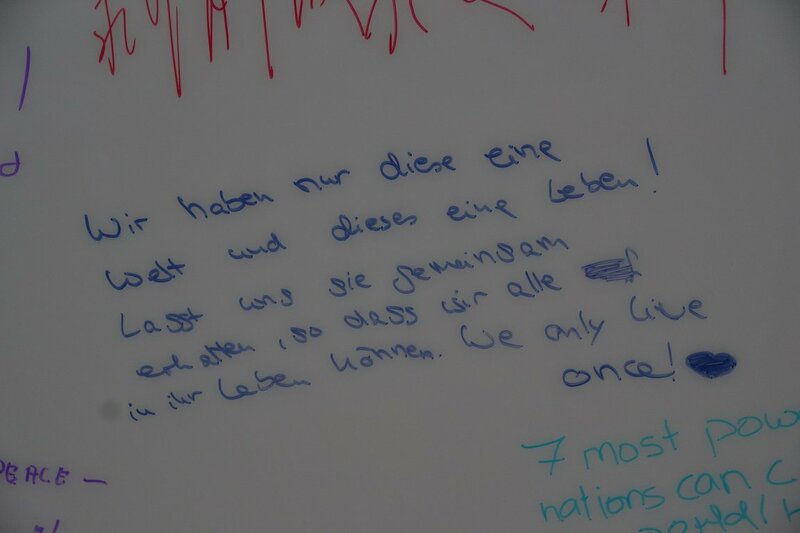 Germany, the UK, France, Japan, Argentina, Peru, Spain, China, Italy, Australia; global citizens from all of these countries and more came together at "Zusammen gegen Armut" to send their messages to world leaders. Ending extreme poverty will be tough- no doubt about it. But if global citizens from around the world come togther to create a movement and act, anything is possible. 2015 is the year everything can change- what are you going to do to make this happen?